For hi end luxury new build developments, a free standing statement bath will often create a centre piece in a master en suite . We offer luxury stone baths, corian baths and even leather clad baths to colour coordinate with your tile choice or wall and door colours. 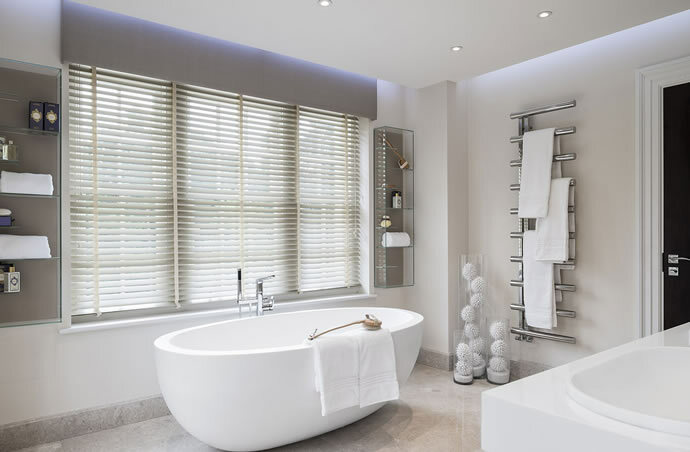 To give a truly luxurious feel to your project, a free standing bath should offer a decadent soaking experience, using the space to create the perfect sanctuary. These baths can be incorporated into contemporary or classical designs, to suit the house style. Strong lines and soft natural colours can make for a calm, settled atmosphere. Beautifully sculpted baths will always bring a bathroom to life and are aesthetically pleasing. Several bath ranges are made from specially selected stone, which also hold in heat and look absolutely stunning, whilst incorporating maintenance free fixtures and fittings, this hi end feature will last for decades to come . If Concept’s In House Design Team, can look at your development plans at an early stage, we will have a very positive influence on the setting out , visualisation and attention to detail for your project, optimising the most sophisticated look and feel, as is expected on a hi end luxury new build. This entry was posted in Free Standing Baths, Luxury Bathrooms and tagged Free Standing Baths. Bookmark the permalink.